Chicago Public School students will have Fridays off for the next two weeks. Tomorrow marks the first of three furlough days designed to save the district $30 million. The following Friday, the Chicago Teachers Union has called a one-day walkout over contract negotiations. The school district has said all along that it is illegal for teachers to strike or walk off the job before mid-May. That’s when a crucial, final phase of the negotiations ends, and under state law, the union can't strike until it's been completed. That said, the CTU’s House of Delegates voted 486 to 124 on Wednesday night in favor of that walkout. 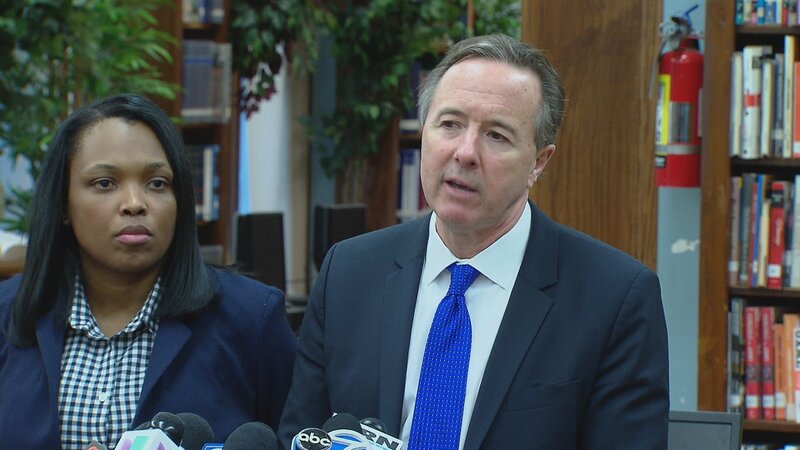 Today, CPS CEO Forrest Claypool sent letters to parents encouraging them to find another option for their children, if they're able to, even though all buildings will be open on April 1 with a principal and an engineer on site. If not, the district says a combination of CPS school buildings, libraries and park district buildings will make up the 250 contingency sites throughout the district. There, students will receive online learning opportunities, physical education, arts and crafts programming and free breakfast and lunch. The district says it's been busy scrambling to prepare for next Friday, so it hasn't yet considered what recourse it will have against the union over this walkout. Claypool says teachers who don't report to work that day will not be paid – that's approximately $10 million in pay. And any teacher who tries to call in sick will have to show medical documentation to prove that they were ill.
Students, of course, will not be counted as absent. The district is expected to post more information on those contingency sites on its website Tuesday. To get regular updates, sign up for CPS' new mailing list here. One teacher at a Healy Elementary School in Bridgeport says he doesn't want to participate in something that's not in the best interest of the students, and is possibly illegal. He knows the delegate for his school, Healy Elementary, voted no last night, because so many teachers at the school oppose the action. Teacher Jim Macchione also points out this started as a day of action and somehow made its way to be a full-fledged one-day strike. He thinks CTU is going ahead with this because leadership didn't want to back down after CPS threatened to eliminate the 7 percent pension pick-up, then reversed it in favor of furlough days. Macchione voted in favor of the strike back in January, when the full membership voted. That one would be much more of a hassle for him because of trips and graduation plans for his eighth graders, but he still supports it. He doesn't support this one, and isn't quite sure if he'll cross the picket line and go to work next Friday. Chicago Teachers Union delegates on Wednesday night approved a one-day strike for April 1. Chicago Public Schools CEO Forrest Claypool quickly condemned the strike as illegal. CTU President Karen Lewis joins "Chicago Tonight" to discuss the walkout and the ongoing dispute over the teachers' contract. March 23: The Chicago school board is served with a walkout notice by the teachers union on the same day the board sues the Illinois State Charter School Commission. March 4: The Chicago Public Schools and the Chicago Teachers Union seem to be engaged in a game of “chicken,” where the both sides continue to decelerate before collision. Feb. 29: Chicago Public Schools students could see their teachers on the picket lines sooner than expected, as the district announces how many employees are being laid off today. Feb. 4: Chicago teachers took to the streets Thursday to protest $100 million in new cuts being made by the financially troubled Chicago Public Schools that is struggling to close a $480 million budget gap.